_ Here you will learn about some of the main characters from Makilien. Things like their race and, and information on their background and situations at the start of the trilogy. I also have an author's notes section where I give some of my thoughts on the characters. Makilien is the daughter of Hanna and Néthyn. She has lived her entire life in the small village of Reylaun. She is very bold, and despite warnings and knowledge of the consequences, she often expresses her doubts about their way of life and of their lord, Zirtan. She feels without purpose and is determined to change that some day, even if it gets her in trouble. Author's Notes: Of all the main female characters I've written about over the years, I think Makilien has the most of myself ingrained in her. In the first version of the trilogy I wrote as a teenager, Makilien was me, so even though she developed into her own person, I still feel more connected to her than some other characters. Aedan is Makilien's closest friend. Since early childhood they have been inseparable. Aedan has always looked after Makilien as an older brother and shares her desire to escape the monotony of life in Reylaun. After the mysterious death of his father when Aedan was just a small boy, he was forced to grow and mature more quickly than others. He is the sole provider for his mother and younger sister, and has a deep sense of loyalty and protectiveness. 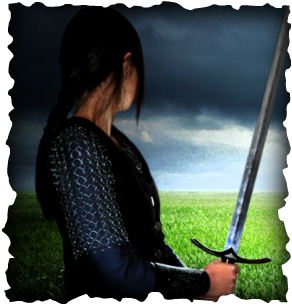 Author's Notes: Aedan is the second of the three primary characters who the trilogy follows. Obviously one of my favorite characters, it has been very exciting and interesting to see how his story and character have developed. Sirion's father was an Elf of Althilion and his mother was a woman from Beldon. His family was killed by Shaikes when he was only seven years old, and he was raised as a son by his uncle, Glorlad, the Elf lord of Althilion. Because of that tragedy, he can have reservations about allowing new people to have a place in his heart. Yet, he is selfless with those he cares about. He is an experienced and confident warrior, and a close follower of Elohim. 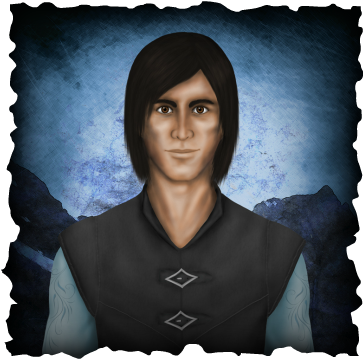 Author's Note: Sirion is the third of the three main characters in Makilien. My favorite things about him are his kindness and willingness to sacrifice for his loved ones.